A CPA member found a video I saw years ago and haven’t been able to find since. It’s a great clip from a BBC television program about Robert “Bob” Hoover, one of the world’s all time greatest pilots. Click on the photo at the right to view the video. It shows Hoover shutting down both engines and then performing an aileron rol while pouring a glass of iced tea. Naturally, he doesn’t spill a drop. Don’t be fooled by the genteel look of a kindly older man. Hoover was a World War II figher pilot who went on to be Chuck Yeager’s backup on the X-1 project. He had a long career as a test pilot, racing champion, and airshow performer. In fact, Yeager himself called Bob Hoover the greatest pilot he ever knew. For me, it’s a close call between Hoover and Jimmy Doolittle for the title of all time greatest. Doolittle engineered the launch of B-25 bombers off of an aircraft carrier, set many speed records and won numerous air races, and carried out the world’s first instrument flight, so he’s always had my vote. But I suppose it’s worth nothing that Doolittle also called Hoover the greatest stick and rudder pilot who ever lived. Anyway, in this clip, Bob Hoover talks about his energy management routine. 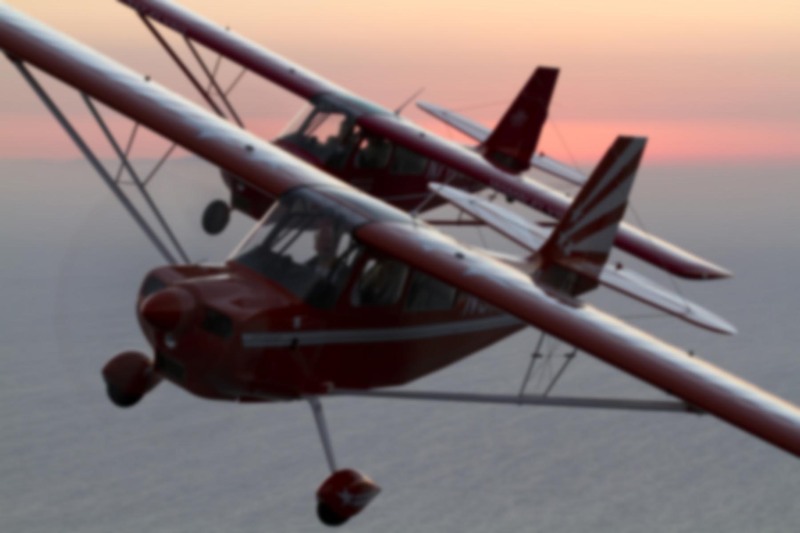 Keep in mind the airplane he’s flying is not designed for aerobatics — it’s a business aircraft not designed to withstand the rigors of such activity, so there was little margin for error in his routine. how can i download the bob hoover clip? I saw Bob Hoover and his Shrike and yellow Rockwell P-51 quite a few times at airshows in Western Canda in the early 70’s and 80’s and his show was always the highlight. What a true aviation gentleman and cosumate professional. Peter, just click on the still image of the Shrike and it should take you to the web site where I found the video clip. While Bob Hoover was a fantastic pilot and Jimmy Doolittle was a fine pilot and leader of men, I know of one man who eclipsed them both in aeronautic ability and in Mr. Doolittles’ case in racing prowess. Alvin M. “Tex” Johnston is that man. The Schneider Cup was won by the British with 3 consecutive wins with their Supermarine Seaplane. The predecessor to the Spitfire. James Doolittle also competed in the races, losing to Johnston on a number of occasions, until the oubreak of war in 1939. With the end of the Schnieder Cup races in 1939 and his last win, (They would not be re-started until the end of WWII), Mr. Johnston went on to become the lead test pilot for Boeing in Seattle. Tex is most remembered for the picture of the Seattle skyline out the cockpit windows showing the wing and two engines of a new prototype Boeing 707 airliner nicely silouetted upside down in the apex of a roll. This is an excerpt from the Discovery Channel’s Wings program. I met Mr. Johnston while flying an RC plane demonstration during the Columbia Cup Unlimited Hydroplane races here in Pasco, Washington in 1997, one year before his death. We spent the better part of two days talking (mostly him) and I spent ALL my time listening to a man who test flew many of the airliners we now take for granted. What the video doesn’t show is that he did the roll twice, once in both directions over Lake Washington. He told me that his Flight Engineer had taken the picture on the first roll and Tex said, “Well, I think that sold a few planes today!” His co-pilot said, “How do we know it can do the same thing in different directions?” Tex said, “OK, let’s make sure everyone sees it this time!” And they did the second roll. I came away from the experience awed by the courage and tenacity it took to fly untested planes with danger on your right elbow and death on your left. Thank you Mr. Johnston for your contribution to aeronautics and to the memory of one person who will never forget you! 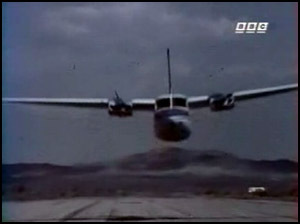 The “Chandelle” is the maneuver Bob Hoover did while pouring the glass of tea. Mr. Johnston explained it this way. And here I am a lowly private pilot! Are you sure about that? The chandelle I’m familiar with is a climbing 180 degree turn. Low G, to be sure, but definitely not a full roll. On the video, Hoover looks like he’s performing a barrel roll. Those can be performed at low (yet positive) G all the way around. Chandelle; consists of a maximum climb, maximum bank combination to obtain the greatest altitude gain for a given airspeed and at the same time makeing a 180 degree course reversal. On a side note, the video file I gave in the previous post is quite long, it may take a while to load but it is VERY good and shows the plane actually doing the roll from the ground perspective and also shows the picture I described.